Use the latest techniques and materials of the time to build a bridge. Bridges speed up transport times, encourage business and tourism. Design and build a crossing over the Forth river. The whole region has benefited from increase flow of goods and people. All three Forth Crossings bridging the Forth River. The river Forth is a 47km long river in central Scotland. Industries in the region include petrochemicals, oil rig construction and ship-breaking. There are many bridges across the Forth upstream as the river is relatively narrow. After it connects with the rivers Teith and Allan downstream it becomes the Firth of the Forth and the crossings are fewer but much bigger. 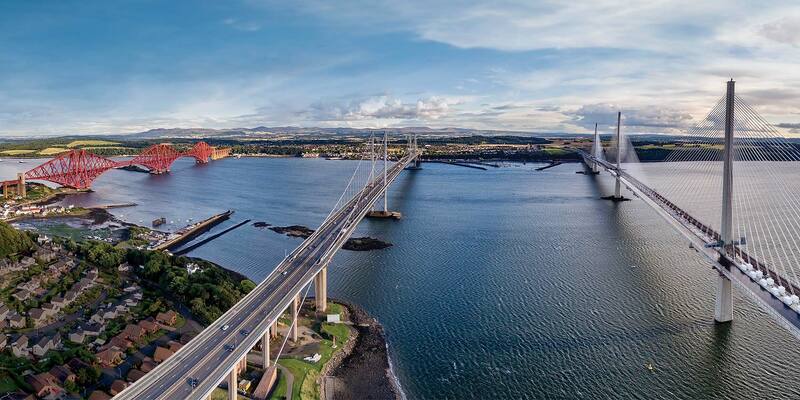 The Forth Bridge, Forth Road Bridge and the Queensferry Crossing are probably the best known of the Firth's bridges. The 2,467m long Forth Bridge was completed in 1890. The iconic railway crossing is used by 200 trains a day and is a UNESCO World Heritage site. The Forth Road Bridge was the biggest long span suspension bridge outside the US when it opened in 1964. It's 2.5km long. The Forth Bridge replaced ferry services across the river and made moving people and goods around the region easier, boosting the local economy. The Forth Road Bridge has become a critical part of the Scottish economy's transport system. 70,000 vehicles – including 7,000 HGVs – and 100,000 people rely on it every day. Transport Scotland expects the recently opened Queensferry Crossing will encourage new businesses and increase tourism in the area. The first major structure in the UK to be made from steel. 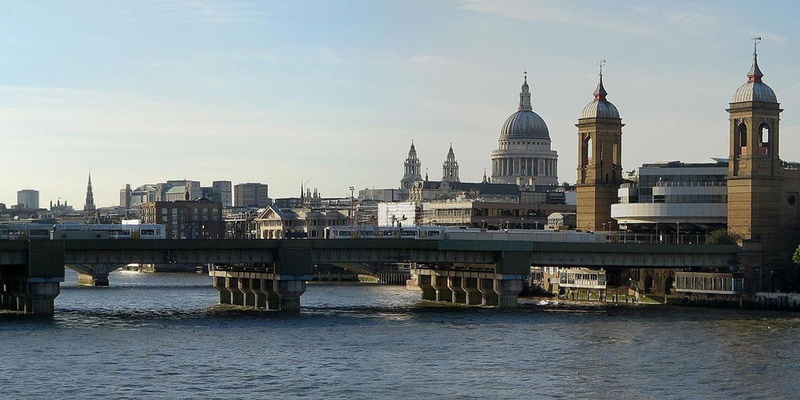 The cantilever bridge has 3 towers, each sitting on 4 circular piers. Engineers used caissons to build the piers. A caisson is a structure that looks like a water tank. Each one was lowered to the riverbed so the top came just above the water level. The water was then pumped out, allowing a dry environment for construction work. It's 2.5km long with a suspended deck – roadway – that hangs from 2 main cables. The bridge's length meant the cables had to be particularly strong. Engineers designed them to be 590mm in diameter. Each is made up of 11,618 high tensile wires with a diameter of 4.98mm. 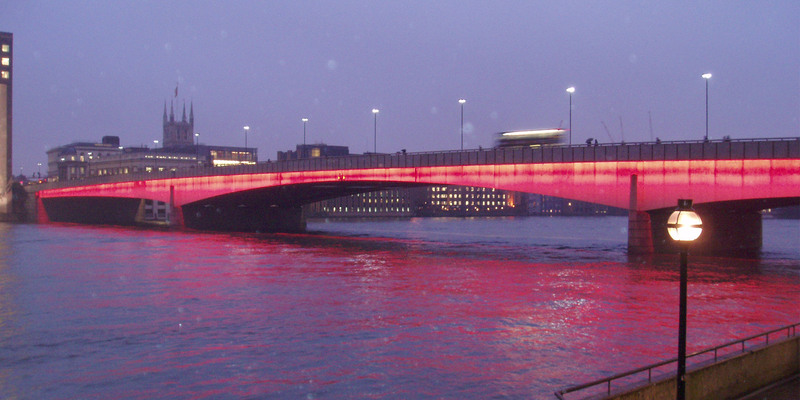 The bridge's length makes it susceptible to wind. To help counter this, engineers used 3 longitudinal air gaps at road level. This reduces wind forces against the structure. Engineers used an island in the river called Beamer Rock as a base for the central tower of the bridge. Workers had to dismantle and relocate a lighthouse to make way for the tower. The 2 flanking towers were built below river bed level. They stand on a giant steel cylinder the height of the Statue of Liberty. Engineers used over 23,000 miles of cabling on the bridge – almost enough to go around the earth. The three magnificent structures we see here span three centuries [and] are all feats of modern engineering. The Forth Bridge was opened in 1890 by the Prince of Wales, later King Edward VII. The prince drove home the last rivet, which was gold-plated, to mark the event. Maintenance on the Forth Road Bridge in 1996 was made difficult by local wildlife. Engineers had to work round the breeding patterns of a colony of rare birds – roseate terns – on the nearby Long Craig Island. Routine archaeological excavations in advance of building the Queensferry crossing unearthed the earliest known dwelling in Scotland. The site contained the remains of a hearth, stone tools and animal bones dating from the Mesolithic period. Carbon dating puts the finds at around 8300 BC. Sir John Fowler and Sir Benjamin Baker – both ICE presidents – designed the Forth Bridge. Mott, Hay and Anderson and Freeman Fox and Partners designed the Forth Railway Bridge. A consortium including Spanish firm Dragados and Morrison Construction built the Queensferry Crossing.